Which First Generation Pokemon Should You Save Candies For Second Gen Evolutions? 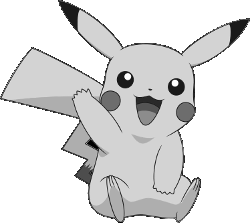 According to Niantic, future generations of Pokémon are likely to be added to the game. 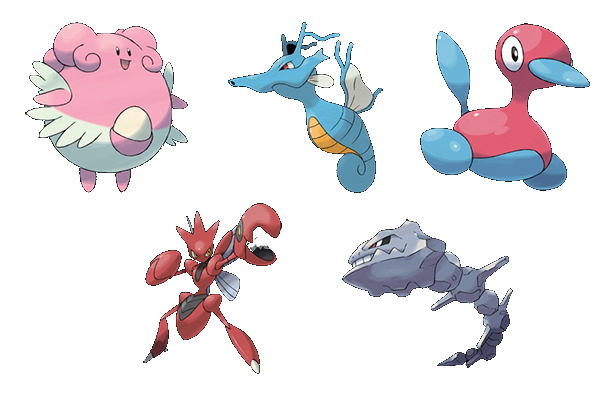 If they go the expected route and release them in the same sequence that they were originally released, this means that the second generation features a set of Pokémon that evolve from currently available first-generation Pokémon. For those of you that are gamers, you obviously want to make the most of your hard earned candies and save up for the ones that will be released in future updates. According to Niantic, future generations of Pokémon are likely to be added to the game. 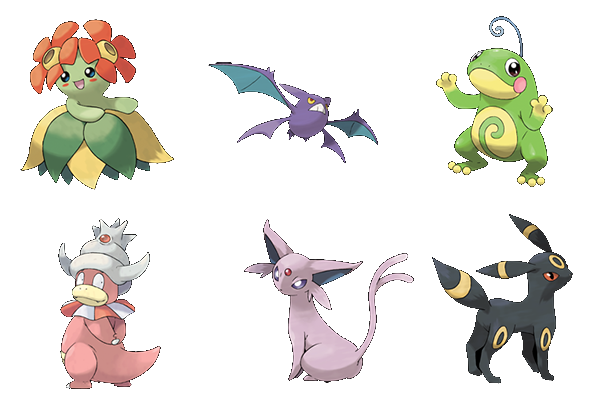 If they go the expected route and release them in the same sequence that they were originally released, this means that the second generation features a set of Pokémon that evolve from currently available first-generation Pokémon. For those of you that are gamers, you obviously want to make the most of your hard earned candies and save up for the ones that will be released in future updates. Bellossom [Oddish Candies][Est: 100] - An alternate evolution for Gloom, Bellossom originally needed a Sun Stone to evolve. Crobat [Zubat Candies][Est: 100] - The evolved form of Golbat, Crobat will allow you to make use of all those Zubat candies you get. Politoed [Poliwag Candies][Est: 100] - An alternate evolution for Poliwhirl, trading it to another player while holding a King's Rock forced him to evolve into this one. Slowking - [Slowpoke Candies][Est: 50] - An alternate evolution for Slowpoke, you received him by trading him with a King's Rock attached. 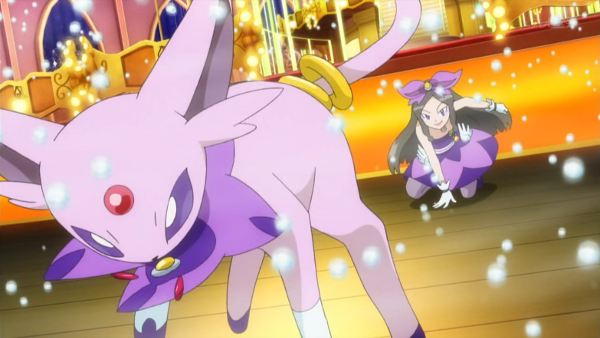 Espeon [Eevee Candies][Est: 25] - My personal favorite, Espeon is an alternate evolution for Eevee when you evolved it during the day. Umbreon [Eevee Candies][Est: 25] - The night time version of the Eevee alternate evolution. Blissey [Chansey Candies][Est: ??] - Not sure what the requirements will be for these rare Pokémon to evolve, but based on other Pokémon it should be 100. However since this seems somewhat unobtainable for most people playing fairly, they may lower this amount. Kingdra [Horsey Candies][Est: 100] - The final evolution for Seadra, originally obtained by trading with a Dragon Scale attached. Porygon 2 [Porygon Candies][Est: ??] - Similar to Blissey, not sure what the requirements will be for the rarer Pokémon. If you traded your Porygon with an item called "Up-Grade" attached, it evolved into this one. Scizor [Scyther Candies][Est: ??] - Trading a Scyther holding a Metal Coat nets you one of these in the original games. Steelix [Onix Candies][Est: ??] - Trading an Onix holding a Metal Coat nets you one of these. Hitmontop [Tyrogue Candies][Est: ??] 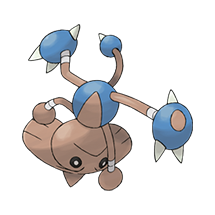 - This is the alternate evolution for Hitmonchan and Hitmonlee's baby form, Tyrogue. The candies for these two may change once generation two is released. 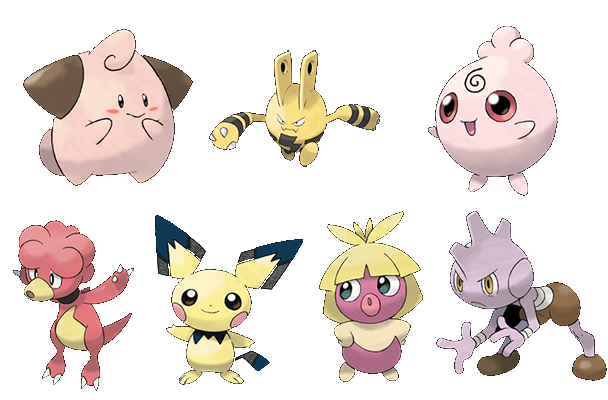 In addition to the direct evolutions from existing Generation One Pokémon, "Baby" forms were also released in generation two, which hatched directly from eggs. Although there probably is not any planning you can do for the ones above, maybe saving up two of each of the Pokémon above could be a wise idea in case they introduce breeding to the game. Got any I missed? Plan on saving up candies soon? Comment below!